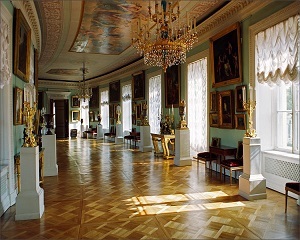 Pavlovsk: Palace and Park ensemble of Paul I, located 27 kilometers away from St. Petersburg. 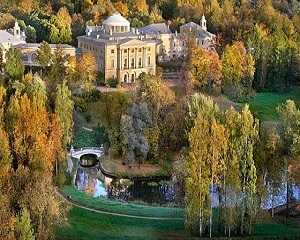 Pavlosk is considered to be the most romantic suburb of St. Petersburg. It was founded as a summer residence of Paul I. The British architect in the eighties of the 18th century Charles Cameron established a unique and full of artistic expressiveness and poetic beauty ensemble to the classicism style. The Grand Palace, pavilions and sculpture compositions are masterly blended with picturesque park landscapes stretching out along the bank of the Slavianka River. The Palace from 11 a.m. to 6 p.m., Days off - Friday and first Monday of each month. 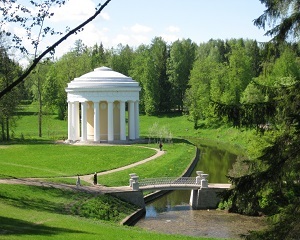 PAVLOVSK (5 hrs). A journey along the Old Emperors road. You will visit the Palace and park – the summer residence of the imperial family.